From chump change to six-figures, these Mustangs are good for any budget. The Ford Mustang is easily one of the most recognizable cars in the world, especially with the trademark horse emblem on the front and rear. The Mustang became popular because it offered sporty driving characteristics and stylish looks for the masses. Sure a Ferrari was always a more exotic experience, but the Mustang catered to those wanting an exotic experience at blue collar prices. 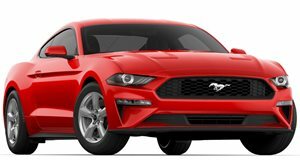 The blue oval has been selling Mustangs since 1964, and there is plenty of choice for shoppers on any budget. The Shelby GT350 is the newest Mustang on this list, and for good reason. 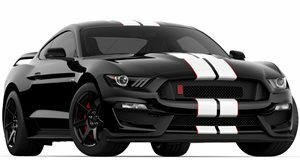 The GT350 has taken the Mustang in a direction that the model has never really gone before, a true European sports car competitor. The Mustang has always looked a bit silly compared with rivals from across the Atlantic, but not so with the GT350. The 5.2-liter flat-plane-crank V8 produces 526 hp, which is far from the most we have seen from a Mustang. What differentiates this car is the amazing handling that puts it on par with the best that Europe can throw at it. The base price of a new GT350 is $54,845, but markups have increased the values tremendously. Good luck finding a GT350 R that isn't nearly $100,000. Unlike the current GT350, the old Shelby GT500 wasn't designed to be an all-out track weapon. The GT500 debuted as a 2007 model with 5.4-liter supercharged engine producing 500 hp. These early models can be found for less than $30,000, but we recommend searching for the second generation model from 2010 to 2012. These models have a facelift and more power, 550 hp, but 2013 was when Ford really went nuts. The 2013 Shelby GT500 is the most powerful production Mustang ever with 662 hp from a 5.8-liter supercharged V8. The 2013 and newer models still cost over $40,000, but this is still pretty good value for the most powerful Mustang of all time. If the GT350 is too expensive and the GT500 is a bit too extreme, then the Boss 302 is probably the best middle ground. Like the GT350, the Boss 302 was a track-focused model than didn't overdo it with power. Instead, the Boss came with a naturally aspirated 5.0-liter V8 engine producing 444 hp. A six-speed manual was the only transmission option, which sent power to the rear-wheels through a limited-slip differential. This Mustang was only sold in 2012 and 2013, but prices are now pretty reasonable at under $30,000. The Boss 302 looks great, and is a big improvement over a normal Mustang GT. When we did our list of 400 horsepower cars under $20,000, the SVT Cobra was featured. While it's still possible to get one under $20,000, these cars are starting to be much harder to find in good condition. The SVT Cobra was built from 1993 to 2004, although we're only interested in the 2003 and 2004 models, known as the Terminator. These cars came with a 4.6-liter supercharged V8 which produced 390 hp. They also came with the first independent rear suspension ever offered on a Mustang. Under 20,000 were produced, and the cars were easily modified into some of the fastest cars on the road. The Mustang gained popularity for being affordable, and today no generation encompasses affordability more than the third generation, also known as the Fox body. The Fox Mustang means any car built from 1978 to 1993, an era known as the dark age of Mustangs. The third generation went away from the large muscle car proportions of the original in favor of a shorter liftback design. Many people call the fox body the "ugly, boxy one," but tuners know how amazing these cars can be. A beat-up fox body can be picked up for well under $5,000, and the light chassis and big aftermarket means that these cars can be turned into absolute street-machines on a budget.